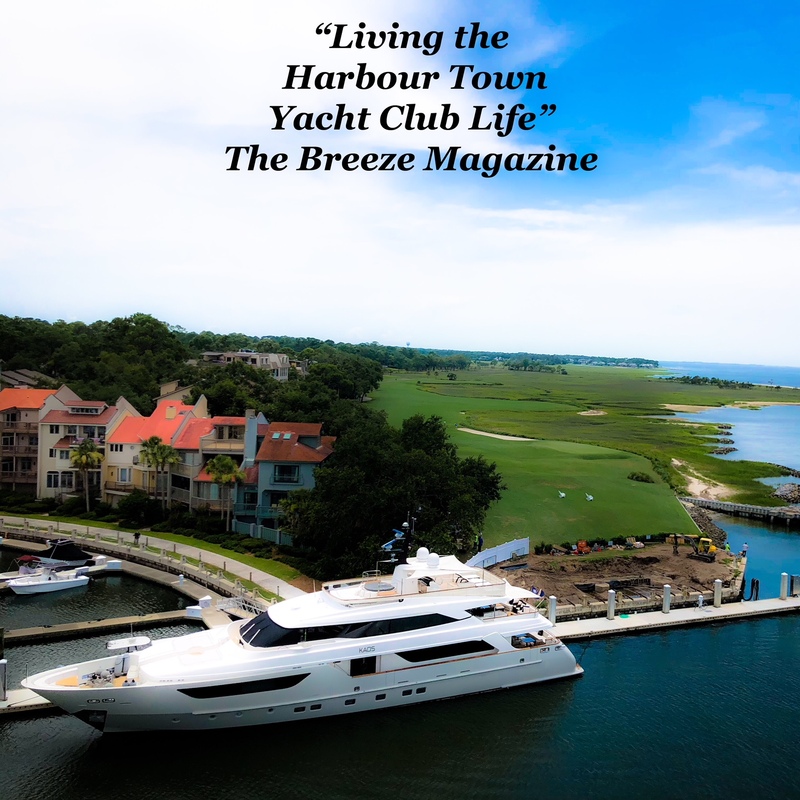 Resort Girls/Guys – Did you know that for 28 days a year you can live the Yachting life in iconic Harbour Town? Neither did I – until a fellow Resort Girl introduced me to the Harbour Town Yacht Club (HTYC) in the Sea Pines Resort on Hilton Head Island, S.C.
A few of my resort girl and guy friends from Big Canoe had recently joined HTYC to enjoy golf outing weekends and family vacations. 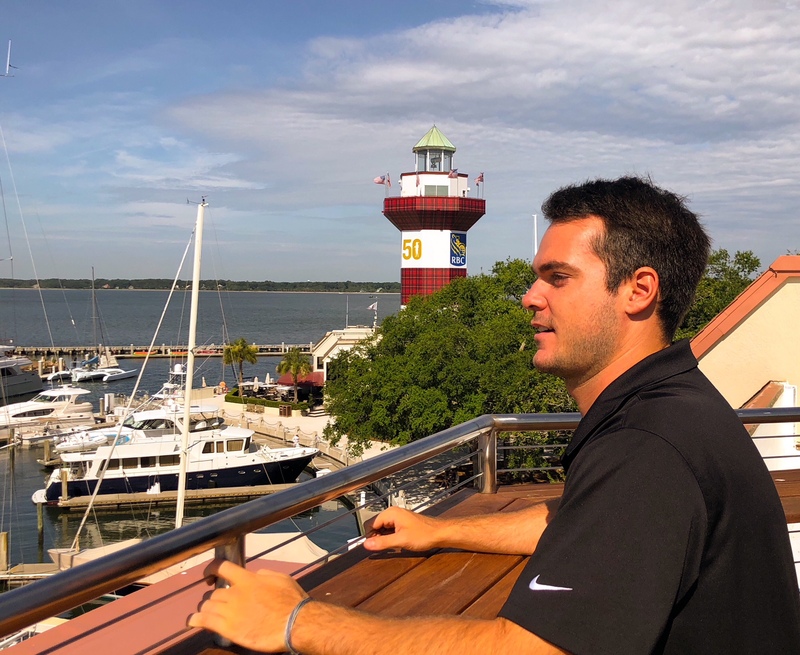 My friends referred me to the Manager, Victor Davidson, and I quickly became sold on the idea of living mere steps away from all of the historic and breathtaking sights that Harbour Town has to offer. As an added bonus, I would also have access to the club’s partner golf resorts, the beautiful yacht “Mystique” and the HTYC clubhouse’s dining facilities and events. Most of the club and private lodging is located above the popular shops and dining spots of Harbour town in Sea Pines Plantation. The rooms range from studios to 2-bedroom units and all have small kitchens with a refrigerator, microwave, coffee maker, dishes and even blenders! There are a few condos off-site, but all are within walking distance of the yacht basin. When staying on property, you can take a refreshing dip in the pool or soak in the sun at the Harbour Town pool and work out at the Sea Pines center gym. The Harbour Town Yacht club is not a new establishment; it is rooted in decades-long traditions. 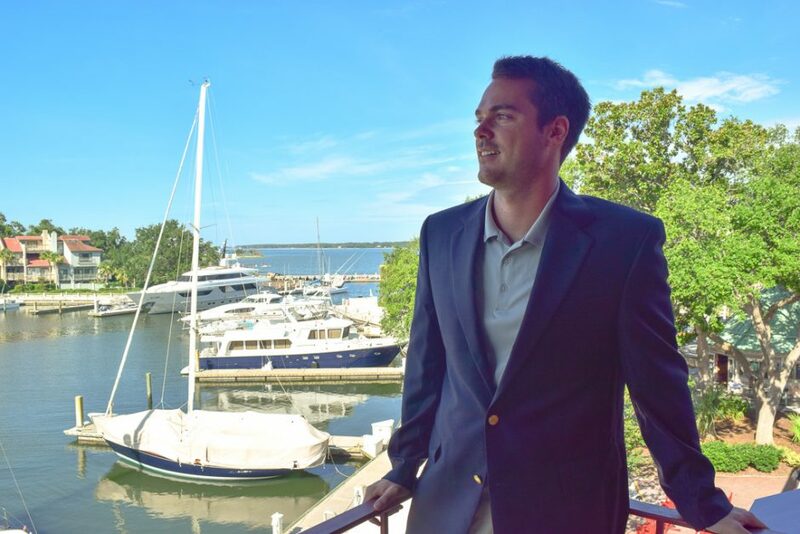 Victor leads an amazing team at the Yacht Club, one that is always there for you, with a common goal of helping you make the most of your membership. I personally nicknamed Victor “Yacht Man”! I have taken to greeting him by this moniker, often with my arms held in a big “V” above my head. (Now, I know only an exceptionally gracious man would allow someone to do that – but he has that personality.) He is a true Superman, always making my time (and my fellow members’) at the club super fine! Victor and the entire, amazing HTYC team are dedicated, hardworking and gracious. The entire staff always makes you feel special – just like part of the HTYC family. There are two ways to become a member at the HTYC. I decided on purchasing an equity membership, but there is also a great social membership available. It has come in very handy when wanting to attend island events, hanging out with my fellow Resort Girls/Guys and meeting new friends. Each year, with my equity membership, I am provided 28 days of lodging with an option to request certain days and/or weeks. There is a system in place for priority reservations, which Yacht Man can better explain to you, but you can also pick up days on short notice if there is availability. I have done this many times, such as when the air conditioner in my home was out of service and just wanting to come and stay at the Harbour. 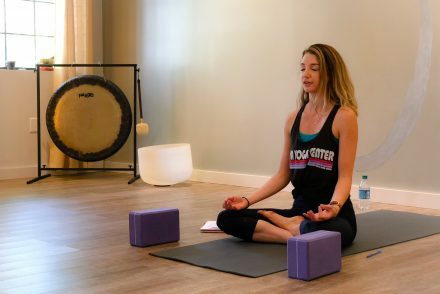 The social membership is also a popular choice for locals of Sea Pines and Bluffton to meet up, as a traditional social is held most Saturday nights from 6 to 7:30 PM. Light bites and drink specials are always part of this popular event. And now, with the recent renovations of the rooftop deck, including expanded seating areas and comfy couches, watching the sunset over the beautiful Harbour Town Yacht basin is even more of a delight. The rooftop club is open most nights with a happy hour serving refreshing libations for the grown-ups and Shirley Temple or Smurf “mocktails” for the club’s younger guests. During the warm months, the Grill features a delicious feast, serving up a set dinner menu to please the palate. It is a great way to grab a meal and then just pop back to your room, many of which feature a private balcony, to relax, reflect and recharge. As social members, you have the option of lodging on a 48-hour notice if rooms are available. This can prove to be a perfect spontaneous vacay for Bluffton-based members and those from surrounding areas who want to come in and spend a night on the Harbour. You can relax by grabbing a seat on the historic teak and mahogany yacht, “Mystique”, with cruises running several days a week. Complementary light cocktails are offered, and you can invite up to 2 guests for free per week (there is a limited charge for additional members). If the sun is shining bright, I might just take an impromptu voyage and hop on board with fellow members if a seat is free. In addition to all of these amenities, there are numerous special events which are very popular with ALL members. 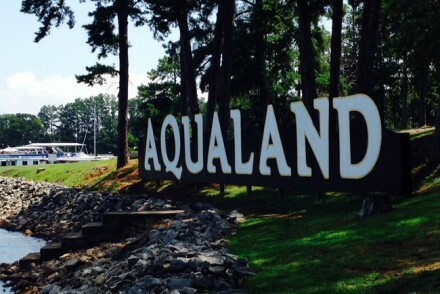 Celebrations are held throughout the year, including a Derby Day party, a 4th of July fireworks dinner, and Christmas parties. The club wraps up the year with a rocking New Year’s Eve party. This Resort Girl has been to most of them and enjoyed each and every one – and everyone! These events draw a lively group of members and are organized and run by a marvelous and loyal team. Some days, I just feel like popping onto the plantation to walk the sandy Sea Pines beach. It’s easy to do as a member because you get free gate pass access to the Sea Pines gate, beach club and all the wonderful dining and luxuries the plantation has offer. And, have I also mentioned the great golfing partners? Members have access to some of the best courses on the island and that is a bonus – FORE SURE! To top everything off – some exciting updates have taken place at HTYC over the last year, including the expanded/upgraded rooftop deck I mentioned earlier. In addition, the third-floor conference center is also undergoing an expansion and updates. This conference space is stunning, with coastal furnishings and décor, and it also has all the technology required for any corporate meeting or training. There is also a sleek bar area attached to the meeting facility, offering a place to socialize after an event – or for smaller member events. Members have access to book these rooms, and the space is also available for private and corporate events. I so enjoy being a member of the Harbour Town Yacht Club and plan to keep establishing traditions and making memories for many years to come. If you might be interested in membership, stop by and ask for the “Yacht Man”, Victor Davidson. Tell him Resort Girl sent you and join me and the other HTYC members in some yachting, dining on the deck, and ringing in some good times – while watching some spectacular sunrises and sunsets. Relax, Recharge and Reflect! Should Resort Girls Take Up Golf? Fore Sure!